Take a space-walk on the wild side (…of the galaxy!) 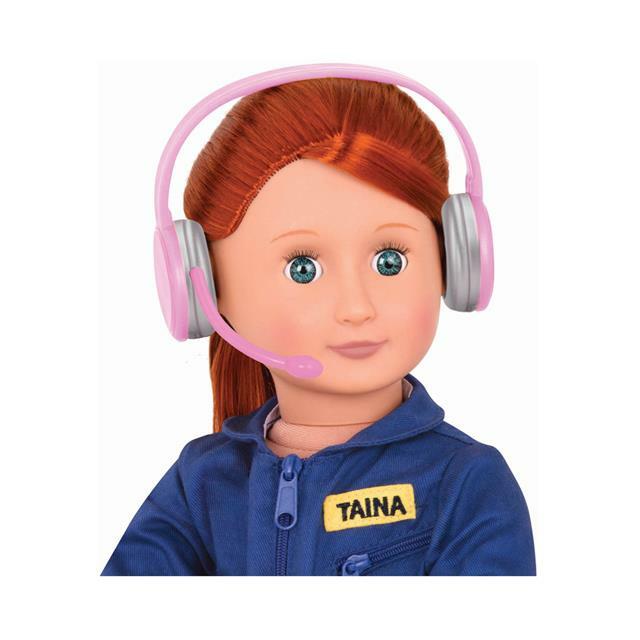 with Taina the Astronaut, a beautiful 18-inch Our Generation Professional Doll. Taina is boldly going where no OG doll has gone before, as one of the first two OG Astronaut dolls! Taina has blue-green eyes and beautiful long, straight, red hair that comes in a braid. 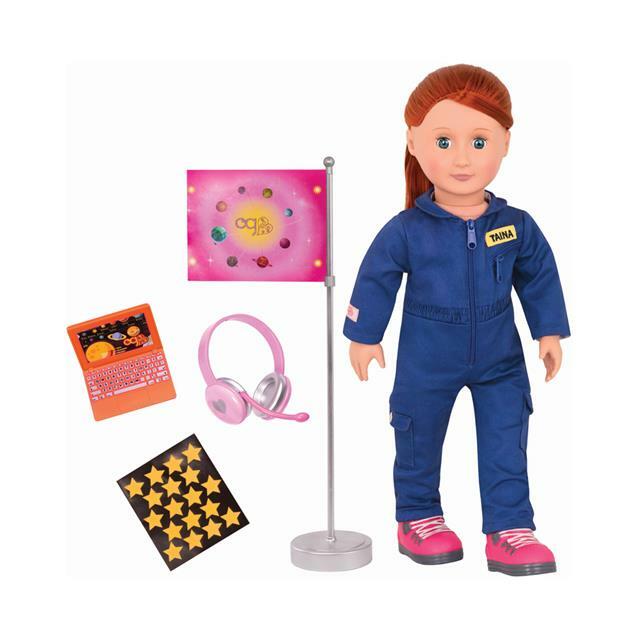 She comes with blue astronaut overalls, pink space-walking boots, and a headset to keep her connected to “base camp.” Her trusty orange laptop will help her record whatever she finds out there in the galaxy, and her discovery flag will show the universe which planets she's visited. You can create a galaxy of your own with the sheet of glow-in-the-dark star stickers!